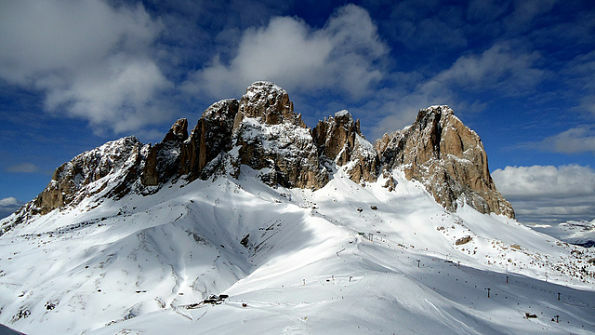 The Dolomites are fabulous mountains, bright, colorful, architecturally modeled wonders of Italy. Formed 200 million years ago from a primordial sea, now rising in the sky over 3,000 m (9,850 ft) are declared World heritage site by UNESCO, with beautiful landscapes, a scenario that leaves you speechless. They are also known as pale mountains (in German Dolomiten or Bleiche Berge, in French Les Dolomites, in English Dolomites, in Italian Dolomiti) are a group of mountain ranges in the Italian Eastern Alps, north east of Italy, between the provinces of Belluno in Veneto region (on whose territory they are situated most of them), Bolzano and Trento in the region of Trentino-Alto Adige/Südtirol, Udine and Pordenone in the region of Friuli-Venezia Giulia. You can immerse yourself in nature so perfect it gives the feeling of being part of a painting, with clean lines and contours. Imposing mountains, almost impressive that seem to touch the sky, changing colors throughout the day going from pale pink to deep blue of the night, seems almost unreal. 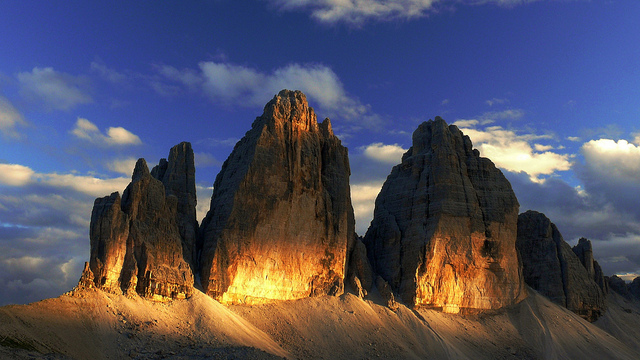 The Three Peaks of Lavaredo (IT: Tre Cime di Lavaredo), Monte Civetta and Marmolada, to name a few, and at the foot of these monuments of nature, enchanted valleys such as the Boite, the Baths of the Dolomites in the Valgrande, the Conca Agordina and the Val Visdende (EN: valley that deserves to be seen). 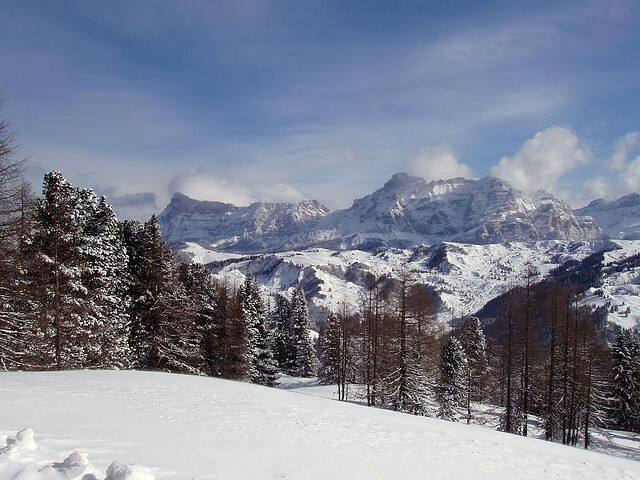 Places to spend a holiday full of sport, exploration of nature and fun: from Madonna di Campiglio to Cortina d’Ampezzo, from San Martino di Castrozza to Ortisei, from Marilleva Bunico-Bruneck, also famous for the beautiful Christmas market. a tour of the small towns rich in history, tradition and good taste, easy walks in the woods, hiking the highest peaks, horse riding or mountain biking, and for lovers of winter sports lots and lots of snow. Magnificent in winter and lovely in the summer, they are the perfect place to spend your holidays all year round.